Originally produced from 1982 to 1986, the VB-2 Vibrato is a rare bird that’s become one of the most valuable BOSS stomps on the vintage market. 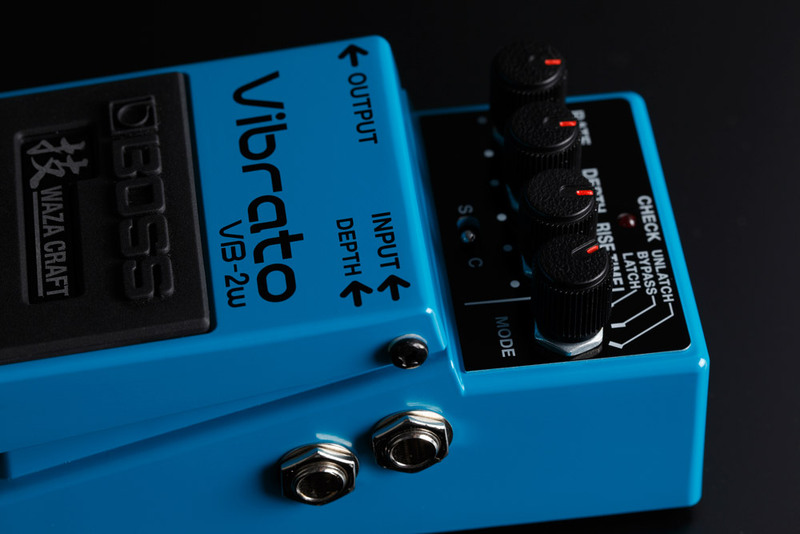 Ahead of its time when in production, the innovative VB-2 creates vibrato with true pitch modulation, enabling guitarists and bassists to achieve rich, expressive effects without physically bending their strings. For example, you can produce consistent, controlled vibrato sounds similar to fretless string instruments like violin and cello, or apply natural vibrato to full chords without using a whammy bar. At extreme settings, the pedal is also capable of warble sounds and other interesting special effects. Over the years, the VB-2 has been rediscovered by all sorts of creative players seeking unique sonic textures with stompbox effects. Today, the progressive spirit of the VB-2 has been reborn as the Waza Craft VB-2W Vibrato. 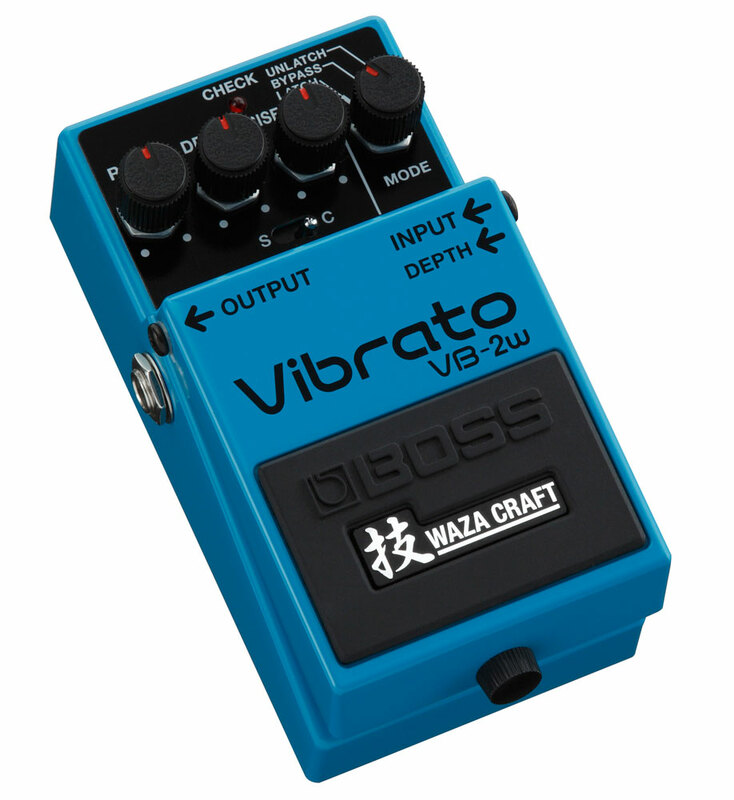 In the Waza Craft tradition, the VB-2W completely recreates the original pedal while adding more range and control. Standard mode reproduces the warm, BBD-driven analog tone of the VB-2 in every way. Like the original, there are knobs to adjust the vibrato rate and depth, as well as a Rise Time control for setting the time it takes for the effect to reach full intensity. A Latch setting provides normal stompbox on/off control, while Unlatch engages the effect only when the switch is held, ideal for applying vibrato effects only as needed. The VB-2W Vibrato includes all the controls of the original VB-2, plus a new Custom sound mode and a Depth jack for external control. Custom mode takes the classic effect to an extra dimension, producing a newly developed vibrato tone with more depth than the original. In addition, a low-pass filter moves along with the pitch for bold low-range tones. Another feature added with the VB-2W is a jack for an optional expression pedal, allowing you to adjust the effect depth by foot for even wider expressive control. This real-time control feature can also be accessed via the external control jacks on the BOSS ES-8 Effects Switching System. 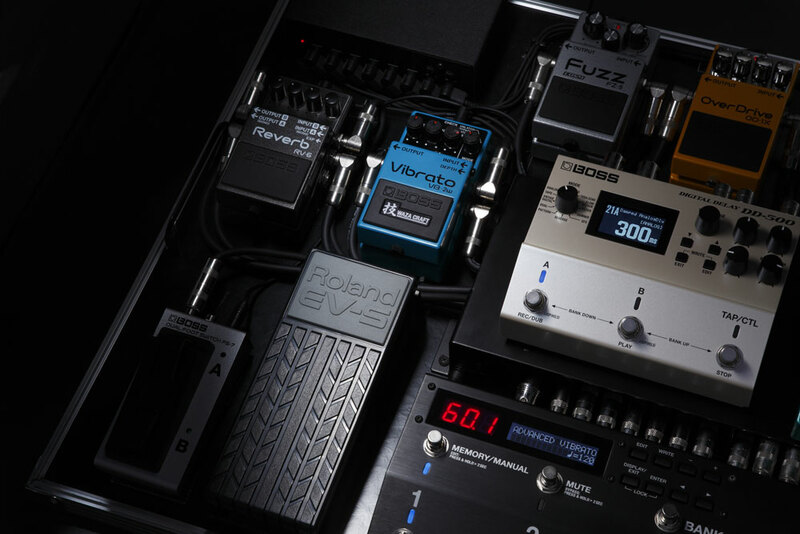 Like other BOSS pedals with external control jacks, the VB-2W can be controlled in real-time via the external control capabilities of the BOSS ES-8 effects switcher. To learn more about the Waza Craft VB-2W, visit BossUS.com.